Rainbow Shops | Burgundy Dress - Leila D.
This time I am featuring a corduroy bodycon dress and Wax denim vest in dark wash which I ordered from Rainbow Shops. Burgundy is one of the hottest colors this year and looks good one everyone. If you're not a fan of burgundy, Rainbow Shops has two other colors which are black and camel for the dress and light, medium and dark wash for the vest. I am wearing dark wash. If you love dresses this is the perfect dress for spring, summer or fall. The material feels like heaven, very soft and that is the case with the Wax denim vest too. You can wear the dress over leggings, with high heels, boots, under a coat or like me throw a Wax denim vest over it. I also styled it with the faux shearling duster vest, which is perfect if it gets a bit colder cause it's super warm and chic. You can buy the faux shearling vest at Rainbow Shops. 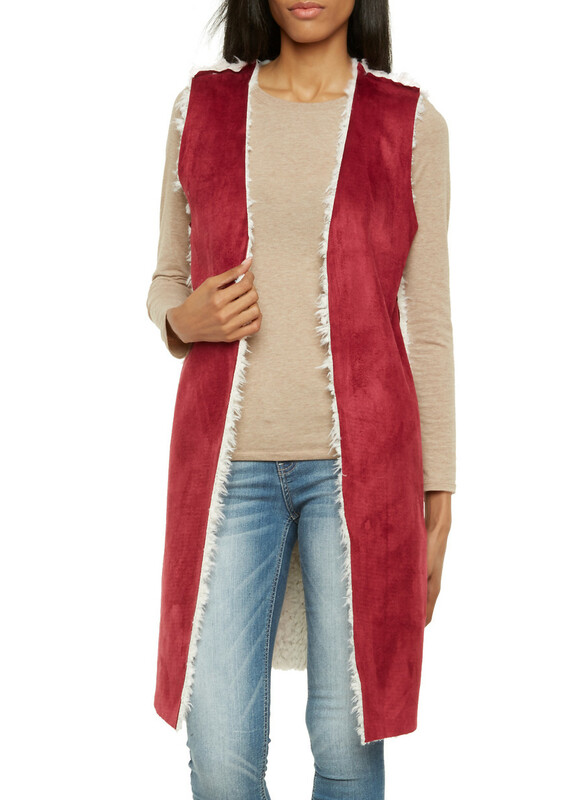 Do you like my look more with the Wax denim vest or the faux shearling duster vest ? The vest is incredible!! Very nice style! I love that color.. the dress looks amazing on you!! great combination with the shoes, I love it!